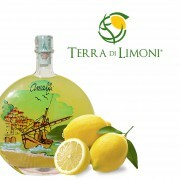 In 1986 in Minori, a small fishing village on the Amalfi coast at the foot of the Lattari Mountains, a small workshop of handmade liqueurs was built; in 2002 it was bought by the De Riso family, devoted to the trade of lemons since three generations. 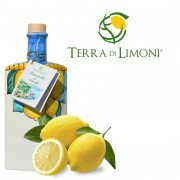 Costieragrumi company, specialized in the selection and marketing of the “Amalfi Coast lemon PGI”, belongs to the De Riso family since 1927. Thanks both to the experience and love that the De Riso family feels for the products of the Divine coast, comes out the idea of transforming themselves into liquors, in collaboration with Sal De Riso (member of the Academy of Italian pastry chefs). 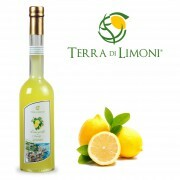 The combination of his knowledge of raw materials, the design and perfection of high quality manufacturing techniques and his supervision in the production process guarantees the purest of products, free of any coloring and preservative. The De Riso family, supported by Sal De Riso’s team, follows all stages of production, from the selection of raw materials to the preparation of liqueurs, from bottling to customer delivery. We have just reached the third generation and the principles of our job have become not only a way of working to ensure a healthy and natural product but also a philosophy.